CARTOON: Who’s undermining my administration? 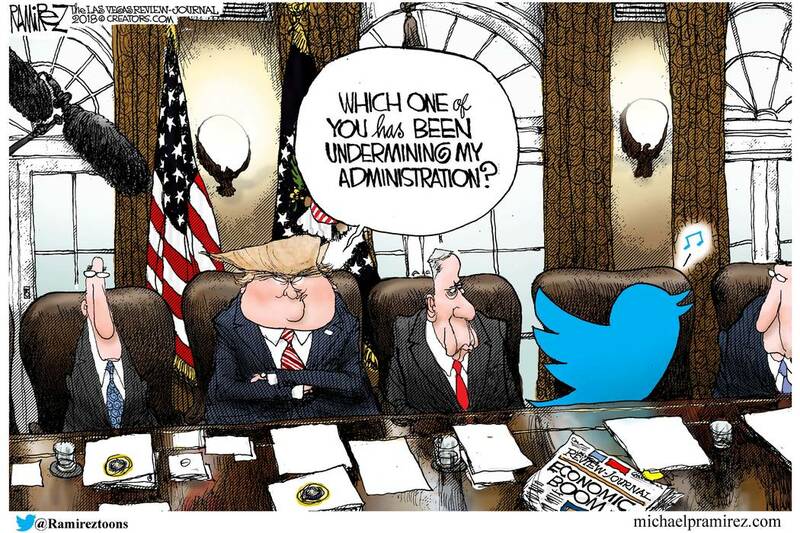 Michael Ramirez points out who is undermining the Trump administration. The president’s Twitter account can be a valuable asset if used strategically. When used unwisely, it detracts from his message, undermines his credibility and overshadows his yuuuge record of accomplishments. Review-Journal editorial cartoonist Michael Ramirez is a two-time winner of the Pulitzer Prize and a three-time winner of the Sigma Delta Chi Award.